Portuguese is a Romance language and the sole official language of Portugal, Brazil, Mozambique, Angola, Cape Verde, Acores, Guinea-Bissau, and São Tomé and Príncipe. With 240 million native speakers, it is the sixth most spoken language in the world, the first of the southern hemisphere and South America 51%, second among the Romance languages, only surpassed by the Spanish. The Portuguese language spread in the world in the fifteenth and sixteenth century, the moment in which Portugal, the first and most enduring European colonial and commercial empire, was extending from Brazil, America to Macau, China, and Japan. The result of this expansion is that the Portuguese, nowadays, is the official language of eight independent countries, and is widely spoken or studied as a second language in many others. 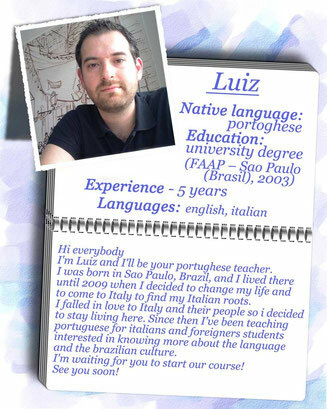 Discover the flexibility and efficiency of our online Portuguese lessons with a native Portuguese teacher. Due to our teaching methodology, a student learns to speak Portuguese from the first lesson and, while speaking Portuguese, our teacher will correct mistakes at once.